The Golden State ran in the New Year with some new DUI laws on the books. This will affect you if you or a loved one is arrested and convicted of DUI. It’s actually good news. The new mandatory California ignition interlock device laws began January 1, 2019. The new state law extends a pilot program that has been in effect for a few years now in the state’s most populous counties, including Alameda, Los Angeles, Sacramento, and Tulare. Now, no matter where in the state you live, if you are convicted of drunk driving, you’ll have to get an ignition interlock device installed in your car if you want to get your license back. If you are eligible for a restricted driver’s license and you want to get your driver’s license back without serving the full suspension or revocation period, you can do that — if you get an ignition interlock device installed in your vehicle. For most of the state, up until December 31st of 2018, a DUI conviction meant a mandatory suspension of your license for 30 days, after which, if the judge in your case agreed, you could enter the restricted driving program with an ignition interlock device. Now, there is no 30 day suspension. 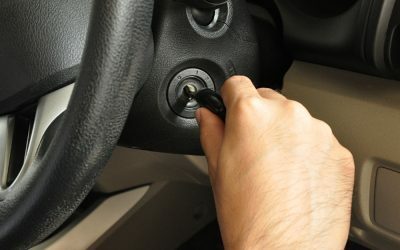 You can begin driving as soon as you get the interlock device installed. And unlike the old law, which only allowed drivers with an ignition interlock device to drive to specified locations such as work or school during restricted hours, the new law lets you drive anywhere you want, anytime you need to, as long as you comply with the rules of the program. What Is An Ignition Interlock Device and What Are the Rules? If you’ve never heard of an ignition interlock device (IID), you’re not alone. In a nutshell, an IID is a a car breathalyzer that is linked to your vehicle’s starter. If you blow into the device and your breath alcohol content (BrAC or BAC) is higher than the preset limit, the system prevents you from starting your car. If you blow into the device and no alcohol is detected on your breath, the system allows you to start your vehicle like you normally would. But wait, there’s more! Once you are actually out on the road driving, you are required to submit occasional breath samples, in what is called a rolling retest. This is to ensure that you didn’t drive yourself to the liquor store or a bar and start drinking while driving. Your IID will give both an audio and visual signal that it is time to submit another breath sample. You will have a few minutes before the rolling retest is required, so that you can pull over or park before blowing into the device. While you can leave the engine running, we don’t advise trying to take the test while the car is moving. If you pass the test, great! Keep on driving. If you fail the test, the ignition interlock device will record that, but it won’t shut off the engine. If you skip the test, the IID will record that as well. You should know that the device records every test result. Each month, you are required to visit your service center so that we may upload the information stored on the device to your monitoring agency — usually the DMV, your probation officer, or both. In addition to taking the breath tests as required, it’s important that you don’t try and tamper with, remove, or try and trick the device, as doing any of these things requires the DMV to immediately reinstate your license suspension. 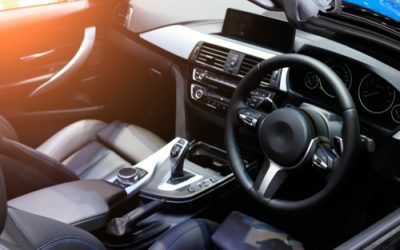 How Soon Can I Get an Ignition Interlock Device Installed? In many cases, ALCOLOCK can install your ignition interlock device within 48 hours of you calling us. As long as we have confirmed that you are eligible for the program and you have the proper paperwork, we can get you back on the road with minimal down time. This new law really speeds up the process of getting your license back after a DUI conviction, especially for first-time offenders. By getting a state-certified installer to install the ignition interlock device in your vehicle, you can drive to work, to school, or anywhere else, for the specified period of time, after which you get your license reinstated. It sure beats depending on friends, family and Uber to get around while you wait out your suspension. How Long Will I Have to Have the IID In My Car in California? The state may add on time for failed tests. And as previously stated, the DMV can remove you from the ignition interlock device program and reinstate your suspension if you try to tamper with, remove, or attempt to bypass the device. If you need to get an ignition interlock device installed in California, check out our California locations page for a service center near you. ALCOLOCK makes it a breeze to get your ignition interlock devices installed on the vehicles you drive, whether that’s one or three or more. Call us today at 866-700-9300 or fill out our contact form, and someone will get back to you quickly to schedule your IID installation.